Monegraph, a collaborative project between a New York University professor and a technologist offers a radical new way for artists to secure digital property – by logging it in the namecoin block chain. To use the service, users sign in to Monegraph via Twitter and choose a URL location of a digital asset, such as artwork. Paying a small network fee via the namecoin QT client results in the Twitter account and URL being placed on the block chain. The Monegraph concept was turned into something real by McCoy and Dash as part of an event called Seven on Seven. The purpose of the symposium, held at the New Museum in New York City, is to pair artists with technical professionals to build a project within one day. “I think the event organizers put us together because they knew that we had been thinking about these ideas. We were able to come up with a working model of it relatively quickly,” said McCoy. Dash is known for being involved early with blogging and social media. The pairing of Twitter for verification with Monegraph is likely a nod towards such experience. Using existing social media as an identity that appears on the namecoin block chain is certainly a unique approach. The ability to verify digital item via a public general ledger is a concept that could gain traction in the cryptocurrency community. Another project called Proof of Existence is used by developers, for example, to create unique hashes for each version of code that they create. 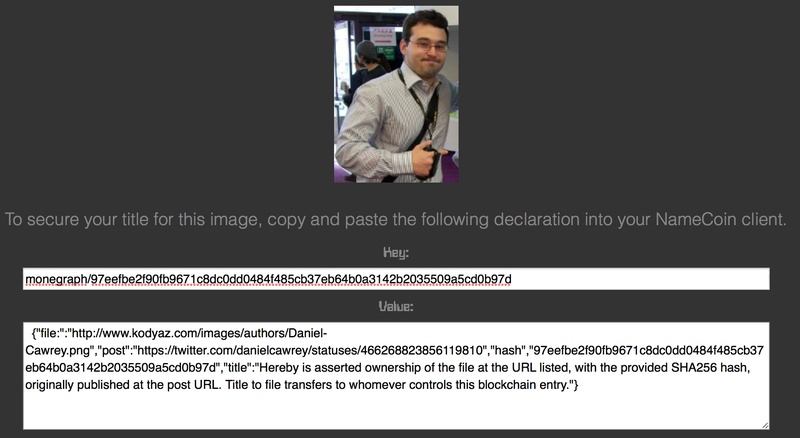 Monegraph allows people to certify images on the web, then tweets out public proof. 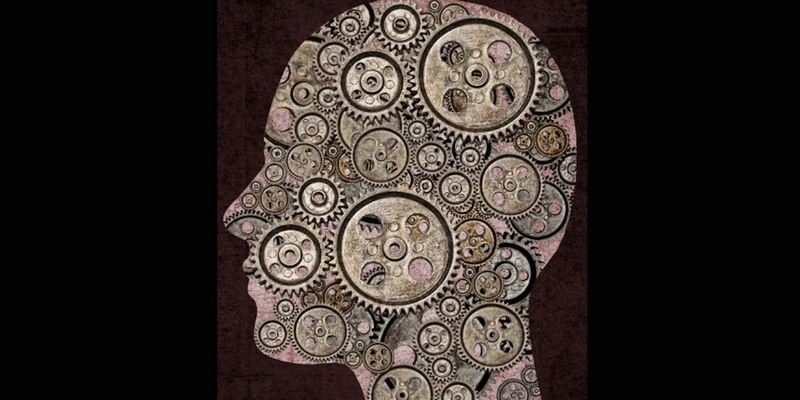 Monegraph builds on this idea, but is geared towards digital media already posted on the web. One application for users would be to create a hash that combines a Twitter account with a public image of themselves posted on the web as a method of verifying identity. The ability to use block chain technology to prove ownership of a digital asset could be useful to protect intellectual property. While, legal complexities exist for the time being, courts around the world will eventually need become familiar with the use of cryptographic hashes as a form of verification. 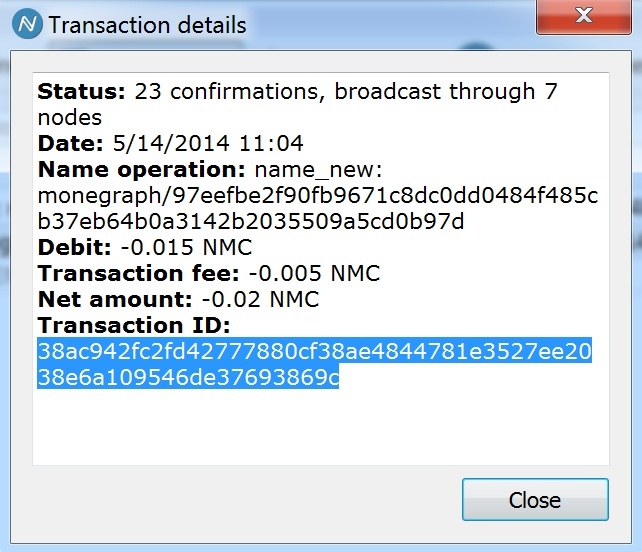 The Monegraph transaction inside the namecoin client, linked to the block chain. McCoy realizes that mediation of ownership disputes is still a concern with this technology, but he believes that the best way for block chain certification to gain traction is through making projects like Monegraph. The use of namecoin’s block chain for Monegraph is a telling signal that it is not just bitcoin that has value. McCoy says that the use of namecoin was a “practical matter” – it’s an altcoin that can be used to verify DNS registrations in a decentralized way. Despite namecoin’s different use case, the developer community has not been particularly busy working on its core client when compared to bitcoin or dogecoin. Furthermore, it’s not easy for people to obtain namecoin, compared with other cryptocurrencies. Then there is the thorny issue getting the general public to understand how this form of digital asset verification works. McCoy is aware of these issues, noting Monegraph was built in a day.